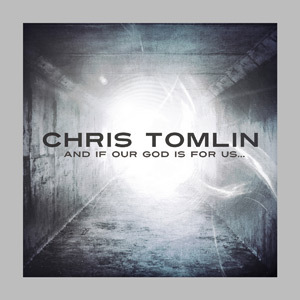 So a few months back I received a copy of Tomlin’s new album, And If Our God Is For Us to review here on the blog. I had intended to post it the week before Thanksgiving, just after the album came out, and then life got crazy. So I’m a little late on this one, but oddly enough, it may work out better for the review that it took some time. I didn’t really love the album so much at first, but it’s grown on me. Just to give something for reference, I’ll give it 3 1/2 stars. Think of 1 stars as, “Who even agreed to record this album?”, 2 stars as mid 90’s Maranatha(As The Deer anyone? ), and 5 stars in the range of Gungor (Beautiful Things) and Matt Maher (Alive Again). Hopefully that helps you figure out where your taste fits into my rating, being that it really is all subjective. We’ve been playing the song Our God (which contains the lyrics the album is named after) for several months at Twin Oaks now. I heard it on the live Passion album that I got early this year. LOVE that song. So after such a great live recording on the Passion album from Tomlin, I was pretty disappointed with the studio version of the song. The string parts that were added just didn’t really do it for me and the song doesn’t drive/rock nearly as much. Too produced and too soft for my preference. Then it went on to the next song, I Will Follow, and now I was hooked in. Loved the message of the song and the catchy chorus. Similarly I appreciated the next song I Lift My Hands, especially for the concept of worshipping through difficulty and pain. Later in the album, I came across the song Lovely. Remember how I said the album has grown on me a bit? Was not a fan of this song at first. Lovely just isn’t all that compelling of a word for me. But, lately I’ve found myself humming the song under my breath without even realizing I had started it. And that is what I think Tomlin is best at. Writing songs that are accesible for worship and stick with people. The album continues with some pretty good songs that sound a lot like what you’d expect from Tomlin. It finishes with Awakening. This is another tune that is on the Passion album, and has grown on me quite a bit over the year. One of the highlights of the album, it really is a great anthem in live worship for inviting God to really do something in our hearts. It has a good build and really draws you in. The Bottom Line: All being said and done, it’s a pretty good album. I’d recommend grabbing simply cause it’s Chris Tomlin. He’s become a staple in modern worship music and if you’re a church goer, there are probably a few songs you’ll end up singing on here. So why only 3 1/2 stars? There’s not a lot about the album that really gets me excited. I don’t get a sense of the music really pushing boundaries and changing the face of what corporate worship sounds and looks like. To be fair, I don’t think that’s what he’s trying to do, so he’s probably doing a great job of reaching his target audience. I should probably even bump it up to 4 stars as it’s been growing on me. It all just comes down to preference. If you’re a Chris Tomlin fan and like a lot of his recent stuff, this album shouldn’t disappoint. I just recommend the Passion cut of Our God. And I’m sure I’ll be leading another song or 2 from here before you know it. Thanks for the review, I’d love to know what bands (other than Matt Maher and Gungor) do you consider “really pushing boundaries and changing the face of what corporate worship sounds and looks like.”? I’d be interested in hearing your favorites of this year.